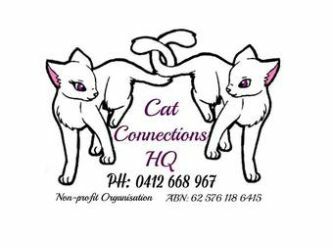 Cat Connections HQ (CCHQ) is a non profit charity cat rescue organisation based in Bundaberg, Queensland, Australia. 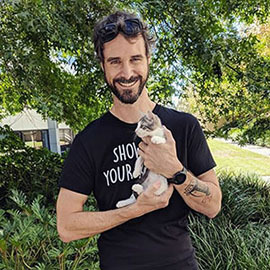 At CCHQ we do Cat Rescue, Cat Rehabilitation, and Cat Re-homing. CCHQ operates under a strict but humane "No Kill Policy" throughout the whole organisation. 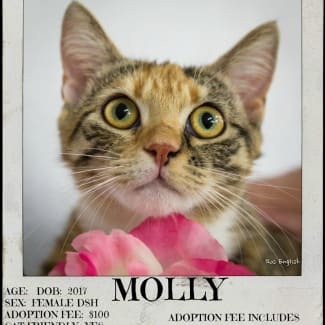 Location Bundaberg Name - Missy Breed - Domestic Short Hair Colour - Tabby Age - 2 Years Gender - Female Desexed - Yes Vaccinated - Yes Vet Checked - Yes Microchipped - Yes Good with Cats - Yes Good with Dogs - Yes Good with Children - Yes Missy arrived at connections as a private surrender with a litter of kittens this year (2017). She was only a kitten herself. 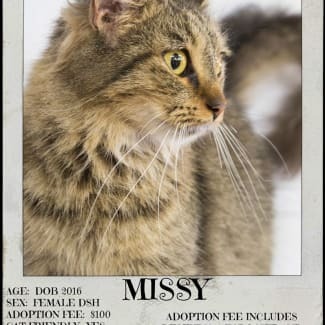 Her kids have found homes and now Missy is patiently waiting for her furever home. 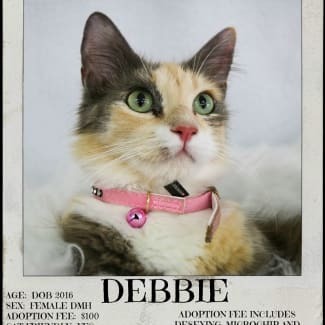 She is a very gentle girl who would suit any family. 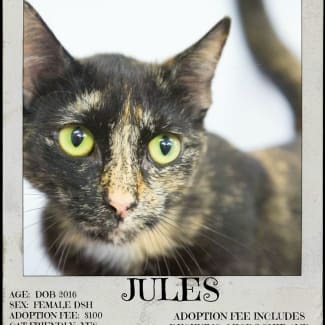 She is a petite little girl with lots of love to give. If you would like to meet Missy please message us and we can organise a meet and greet. 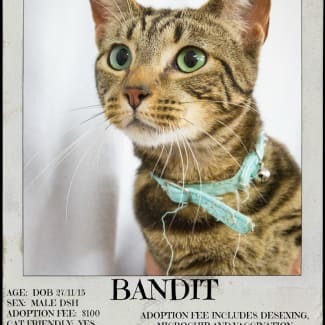 Location Bundaberg Name - Bandit Breed - Domestic Short Hair Colour - Tabby Age - 2 Years Gender - Male Desexed - Yes Vaccinated - Yes Vet Checked - Yes Microchipped - Yes Good with Cats - Yes Good with Dogs - Untested Good with Children - Older Children Bandit has been with cat connection for two years since he was three weeks old. He has been waiting patiently for his for ever home. He is a quite boy who gets on with other fur friends. he likes a quieter house, so older children would be preferred. 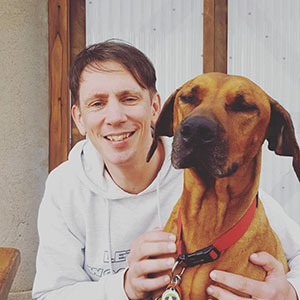 He takes a little time to settle in but will be your best friend when he feels comfortable. If you would like to meet Bandit please message us and we can organise a meet and greet.